Sit tight Note 9 owners, because Samsung has seemingly backtracked on releasing its Android Pie update for the device on January 15. 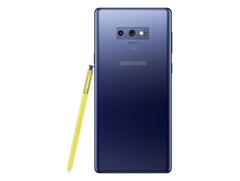 The company's official Turkish website now reports that One UI will be rolled out to the Note 9 on February 1 instead, which will come as a disappointment for those who were anticipating updating their device to Android Pie tomorrow. Today brings bad news for Galaxy Note 9 owners. We had previously reported that Samsung was planning to release its Android Pie based One UI update for the Note 9 tomorrow, on January 15. However, the company's official Turkish website now displays the planned roll-out date as being February 1 instead. This may be frustrating for Note 9 owners hoping to update their devices over the next few days. By contrast, Samsung initially started rolling out One UI to Galaxy S9 and Galaxy S9+ owners just before Christmas. However, Samsung did state on its official One UI road-map that it would be releasing the update in February this year, so this news is not wholly surprising. Please keep in mind that there has been no official confirmation whether the February 1 expected release date only applies to Turkey or to other countries and regions too. One UI succeeds Samsung Experience, which replaced TouchWiz in 2016. The update includes a new Night Mode among other features and has less bloatware than previous Samsung versions of Android. Samsung has stressed that One UI will help people "focus on what really matters" by making the OS easier to navigate with one-hand. Let us know in the comments about your experiences with One UI beta on your Galaxy Note 9 and if you have had encountered any issues that remain unresolved.